Both are grad school admissions exams. Both are aptitude tests. Both have been around forever. Both test reading comprehension and critical reasoning skills. You’ve seen one standardized test, you’ve seen them all? How similar are the LSAT and the GRE after all? You may have guessed the answer to this one: it’s complicated! In this post we’ll discuss areas of convergence and divergence between the GRE and LSAT with the intention of helping students either decide which one to take or to understand how their existing preparation efforts for one of these tests contributes to preparation for the other. 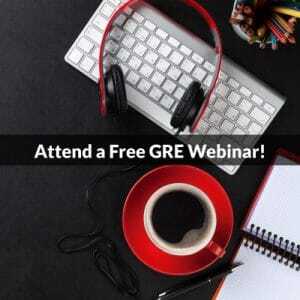 This post is principally written from the perspective of an LSAT student who wishes to consider the GRE as an additional option or as an alternative to the LSAT. However, GRE students who might be thinking about law school will likely also benefit from this discussion. To make a long story short, preparation for the LSAT and skills you develop for the LSAT do contribute to success on the GRE General Test (and GMAT incidentally). Likewise, preparation for the GRE does in some respects overlap with LSAT preparation. There are also of course significant differences, and whenever we note similarities in an area, we must also note these differences. Both tests are roughly three and a half hours in length, consisting of multiple scored sections and one unscored research section. The GRE includes two essays that comprise the Analytical Writing Measure, an hour-long scored section administered at the outset of the exam. While the LSAT also includes an essay task, this Writing Sample is 35 minutes long, unscored, and administered at the end of the exam. Score reports for both exams include normalized, scaled scores (scores that indicate students’ performance relative to that of other students) and the respective percentiles for these scores. On all official score reports except those for the February exam, the LSAT also includes detailed information about students’ raw (unscaled) scores and performance on scored questions. Students also earn raw scores on the GRE, but ETS (The Educational Testing Service) discloses neither these raw scores nor data about performance on individual questions. Performance across all LSAT sections is combined into one scaled score, ranging from 120 (lowest score) to 180 (highest score) with a mean usually around 152. Each test has changed its structure and scoring scale multiple times, but the LSAT has not undergone a wholesale redesign since 1991. Both tests have been around for decades and are held in high esteem by the programs that require them for admission. As with every test that has been around for several decades, the GRE was once exclusively paper-and-pencil based. While a pencil-and-paper GRE General Test is still offered three times a year in locations without access to computerized test centers, the Computer-Based (CBT) version of the GRE has been compulsory for all with access to such test centers (nearly everyone in the United States and Canada) since 1998. However, ETS made a major overhaul to the GRE in 2011, changing it from a question-level adaptive test (like the GMAT) to a section-level adaptive test, thereby ameliorating a significant source of anxiety and discomfort for many students. Students may register to take the GRE by appointment at any accredited testing center. While, the LSAT remains (at present) exclusively a pencil-and-paper test, the Law School Admissions Council (LSAC) plans to increase from four to six annual administrations starting in 2018. Meanwhile, the LSAC is moving forward with pilot programs to experiment with electronic delivery of the LSAT. While it remains unlikely that the LSAT will soon adopt a continuous administration model akin to that of the GRE and GMAT, these upcoming changes indicate a willingness and desire on the part of the LSAC to remain competitive, especially as the GRE makes inroads in law school admissions. Both the GRE and LSAT are aptitude tests, designed to measure certain cognitive reasoning skills, both akin in some sense to the pioneering Stanford-Binet Intelligence Scales. Thus, even though the question types vary dramatically between the GRE and LSAT, we can note conceptual overlap between the two tests. The LSAT does include some intermittent, elementary quantitative reasoning tasks, occasionally as part of Logical Reasoning questions. The LSAT Writing Sample could be considered a form of persuasive writing, but the GRE Issue Essay Task is considerably more significant and challenging. Important for both Text Completion and Sentence Equivalence problems. Despite these significant differences, since both are “aptitude” tests, students may note many similarities in style between the two tests, down to the way in which questions are asked and multiple-choice answer choices are formulated. This aptitude-test style is markedly different from the style and format of “achievement” tests like the ACT, which aim to test content-mastery more than abstruse reasoning skills. In other words, if you’ve been preparing for the LSAT, you might find that you’ve made significant but difficult-to-quantify headway on the GRE just from familiarity with the tone of the test. The LSAT is considerably more precise and exacting in its use of language than is the GRE, but on the LSAT students will rarely encounter unfamiliar vocabulary that all but thwarts progress on some difficult GRE questions. Likewise, the GRE also requires content knowledge in mathematics as a prerequisite for success on many Quantitative problems. These math facts or concepts should be familiar to most GRE students, but many will need a refresher in some of these math skills, dormant in some cases since early high school. By most accounts, the LSAT is more of a gauntlet than is the GRE, even though both are approximately the same length. Part of the anxiety the LSAT induces can be attributed to its more infrequent administrations and its critical importance in law school admissions. However, as the GRE is accepted at all major business schools and is increasingly making inroads in law school admissions, its significance will continue to increase for students submitting it as part of their applications for these programs. As noted above, logical reasoning tasks on the LSAT are both more varied and objectively more difficult than their analogs on the GRE. LSAT students moving on to GRE preparation will likely find these GRE questions much more straightforward by comparison, but no student should get lulled into a false sense of complacency. GRE Verbal includes not only single-option multiple choice problems but also multiple-credited-response problems and select-in-passage questions. These variations can present unfamiliar challenges to LSAT students. Further, the manner in which logical reasoning tasks are presented on the GRE differs somewhat from that in the LSAT. Students who have developed an effective system for the LSAT may find they need to make adjustments for the GRE. Further, there is less “compartmentalization” on the GRE. Logical reasoning tasks appear next to more conventional reading comprehension tasks, and some may find this juxtaposition jarring. To get a sense of the GRE and make an effective preparation plan, students should consider taking the first of the two PowerPrep exams, available as a free download from ETS. After taking this test, students should perform a diagnostic self-assessment and decide on a program for preparation, consolidating existing strengths and addressing weaknesses. To get the ball rolling with LSAT preparation, students should consider printing out and taking the freely distributed June 2007 LSAT, available as a PDF from the LSAC. PowerScore offers a Virtual Proctor to simulate timed LSAT conditions. Once complete, we would like to recommend students register for a PowerScore account and use our free LSAT diagnostic analysis tool. This tool is available not only for the June 2007 exam but for every modern LSAT dating back to 1991! 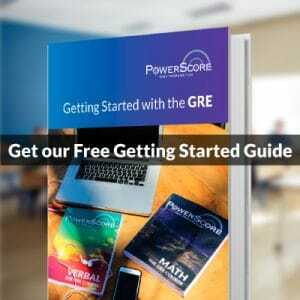 I wrote a blog post comparing LSAT and GRE reading comprehension on our PowerScore blog and followed this post up with an in-depth look at short passage questions on the GRE and their similarities and differences with LSAT Logical Reasoning. Likewise, my PowerScore colleague Jon Denning wrote an article about the significance of Harvard Law’s adoption of the GRE as an alternative to the LSAT for admissions. Please follow up with further questions or comments, and consider visiting our free LSAT forums or GRE forums to consult existing information and get expert answers to all your questions. Tomorrow night we will be holding a public seminar online covering Elements of Argumentation on the GRE. Register now for free. All who attend will receive a discount off our GRE courses and a complete recording of the seminar. We hope you can join us!